This light blue chalcedony ring is perfect for getting in a springtime state of mind! 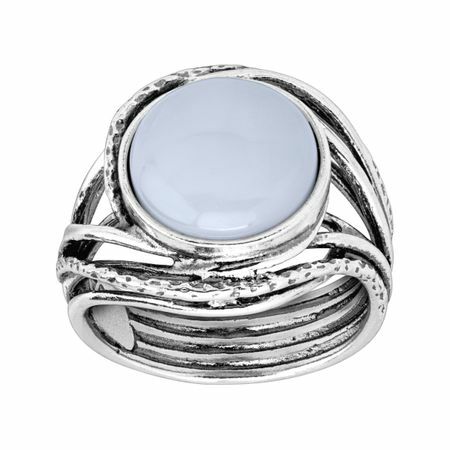 Set among strands of bright sterling silver, this lightly colored ring is sure to become a staple in your collection. Ring face measures 11/16 inches in width. Piece comes with a “.925” sterling silver quality stamp as a symbol of guaranteed product quality.